Trying to adapt a particular tone can be a hard task or one that you quickly adapt to. It has taken me a LOT of years to settle into what I consider to be My Tone. I know it’s not a, vintage vibe, type of tone. I’m not much into old 1X15″ Ampeg amps or Fender Bassman’s or anything like that. 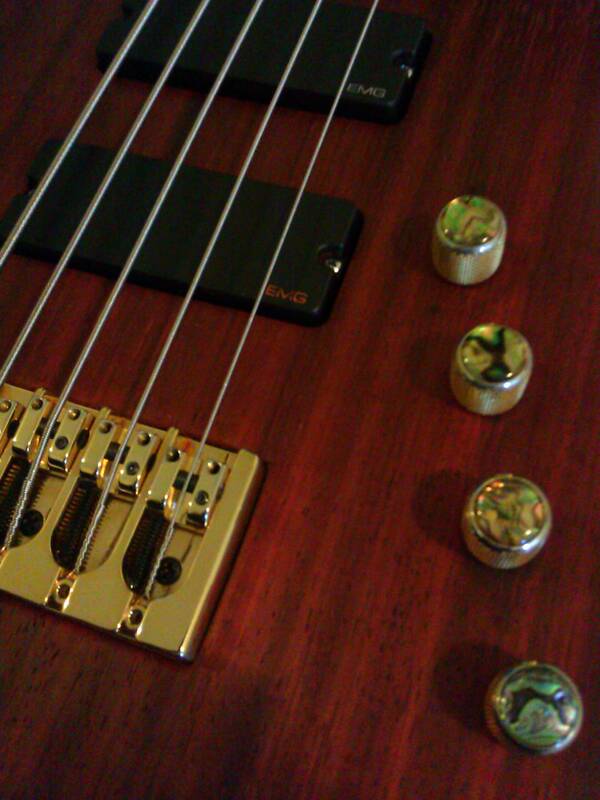 I love to hear the thunderous tone of a P Bass pickup running through an Ampeg SVT stack, just not in my hands. Somewhere in my head, I like an Old School, Hi-Fi Sound. I started my canvas, trying to blend, “Ghost In The Machine” era Sting with Marcus Miller, Doug Wimbish and Mark King’s tones into my own tone. I guess you can say I am going for a focused, raspy, midrange with a smooth low end with sparkling highs. This is probably why I go for thick bodied, Fender-ish styled instruments, with Jazz Bass style pickups and/or single coil switchable humbucking pickups. I like those tonal colors textured with vintage Trace Elliot amps. For smooth altogether, I want a Bag End S15XD cab, aimed at my knees. I am a lover of “Dead Silent”, or as close as possible, electronics. In my opinion, 60 cycle hum rates at the top of the, “Grrrhhh, I can’t stand that noise”! list. To me, 60 cycle hum is right up there with squealing brakes, a fork scraping a plate and fingernails being dragged across a blackboard! I try to combat this with EMG pickups or items offered by Demeter, Bartolini and Aguilar. If I am installing my own electronics or if I’m working with Devon Smullen on a bass he is building for me, I have an idea in my head how the electronics will sound. Devon may suggest wood combinations that assist with the direction I am attempting to go. After I can get the instrument to produce certain tones and frequencies, acoustically dry and amp flat, I further doctor my tone using the graphic equalizers on my Trace Amps. Since my pickups, woods and electronics are guided with a graphic EQ in mind, hearing my most of my basses thru someone else’s, full parametric EQ based amp, makes me cringe! Semi parametric amps, like the delicious, SWR Red Head or Shelving EQ based amps offer some hope because they can be made flat fairly quickly. What’s the point in all of this? Flat is the best canvas to work with. An artist beginning to draw a picture rarely, if ever, begins creating over a picture someone else has started. You should work to create a tone with your hands first. Next, find an instrument or instruments you can marry your hands to. After that, find an amp company or direct box or tone filter like a Sans Amp, Sadowsky preamp box etc.. that speaks to you and your instrument. There’s a good reason why Jaco, with his 60s Fender Jazz basses and Acoustic amps, and Marcus, with his 77 Fender Jazz and SWR amps, have stood the bass world on it’s head with the sounds that legions have desired. How are you getting to your tone?